Two women were injured in a dog attack September 1. One of the women required hospitalization for her injuries. The dog attack involved more than one canine. According to police, one of the women (age 50) entered an open gate and walked toward the home of another woman. The homeowner's dogs, a pit bull and a Blue Heeler mix, attacked the visitor when the owner opened the door. The pit bull, a female, was in heat and the owner was allowing the dogs to breed when the attack took place. The homeowner (age 41) tried to stop her dogs, but they attacked her as well. Both women received medical transport. The owner was later released, but the visitor remained under meical care listed in good condition. According to the local Animal Control unit, the visiting woman sustained extensive bite wounds to her feet, legs, buttocks, side, arm, chest, and ear. The owner survived with injuries to her legs and feet, including a large piece of flesh torn from her calf. Every dog bite, no matter how superficial, should receive medical attention. 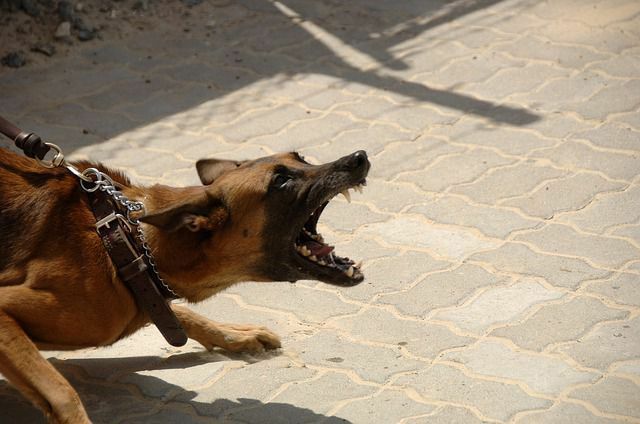 Depending on the circumstances of the incident, victims of dog bites could be eligible not only for reimbursement of injury treatment costs, but future medical care needed as a result of the injury. For instance, if the dog severely tore or damaged soft tissue, a tendon, or muscles that impose physical therapy requirements or have caused permanent loss of use or paralysis, the victim might be able to receive compensation that would cover future care, home modifications, lost wages for time away from work, and possibly additional compensation if the individual is unable to return to the same type of work as a result of their injuries. Our dog bite attorneys provide complimentary case evaluations. To reserve a spot on our calendar with one of our attorneys - call 877-BRENT-ADAMS or complete our online consult request.